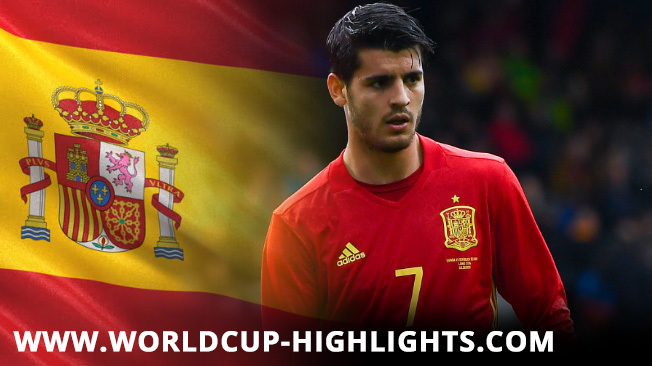 Spain's young bomber Alvaro Morata admitted he wanted to win the 2018 World Cup trophy and added that it was impossible to match his senior's achievements. Spain's national team achieved great success by winning two Euro titles in 2008 and 2012. They also managed to win the World Cup trophy in 2010 ago. Some players who become champion at this time is no longer defending La Roja squad. For example Xabi Alonso, Xavi, Carles Puyol, to Iker Casillas. They replaced new players. Morata says that the new generation of players today will have difficulty repeating their senior achievements. Nevertheless, he will keep trying to achieve its own success, and starting from the title of the World Cup in Russia later. "For the new generation, it is difficult, even impossible, to compete against the winning team," Morata said in an interview with GQ. "When I was younger, I dreamed of winning the World Cup, so I want to make it happen next summer I hope to be very busy in June and July 2018," he concluded. Meanwhile Spain midfielder Sergio Busquets expressed confidence that La Furia Roja is still a seed and deserves to be called a favorite in the upcoming 2018 World Cup. La Furia Roja has not shown their spurs in the last five years. Since dominating major tournaments from 2008 to 2012, the team that is now coached by Julen Lopegui is not yet a champion. Even so, the Barcelona midfielder remains confident that they deserve to be called one of the title challengers in Russia next year. "When the World Cup or Euro will be held, you always look forward and try to get away, and the good thing is at the end of the tournament," he said. "The first thing we have to qualify is because we are in a tough group and are currently competing with Italy, hopefully we qualify as group winners and once we get through we will analyze everything," he continued. "In terms of players, the team, we will be one of the favorites despite not playing well in the last two tournaments," he said.